Another example of what our mission is all about. . . 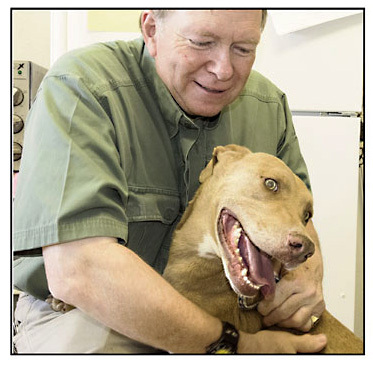 Anyone can say they rescue animals, and they can brag about finding them homes too . . . the Internet if full of them . . .
. . . but we know from paid research we did years ago that American’s keep their pets only two and a half years. So even if those homes were carefully checked . . . which many are not . . . most adopted pets end up either back at the pound, or they are abandoned . . . like Mocha Man. When I first brought him to our sanctuary, where all our animals are safe and loved for the rest of their lives, Mocha man was three-years-old. He had the killer “tick fever,” which I have told you about before. But he had also contracted a cancer that is sexually transmitted between dogs. This STD cancer is so common among abandoned deep desert dogs that over the years I have accepted the fact that this double whammy, cancer and tick fever, is nature’s cruel way of eradicating unwanted animals. Two years ago we removed a tumor from Mocha Man and we gave him chemotherapy for a year. Once the chemo stopped, the cancer came back and we removed it again. He has been on chemo for almost another full year since then. So if Mocha Man met the fate that was dealt him in 2010, he would have died in the desert and you would never have seen this joyous soul. Nature’s plan was for hunger and tick fever to kill him that first year. And as if it were getting even with any animal who somehow survived this first assault, nature then assured his destruction by inflicting this cancer epidemic on his entire species during their reproduction cycle. Mocha Man knows he is loved and cared for, and maybe he even knows we saved his life four times so far . . . from starvation, tick fever, and twice from cancer . . .
. . . and he is so grateful that he jumps up and hugs everyone who takes him for walks up to our hospital. 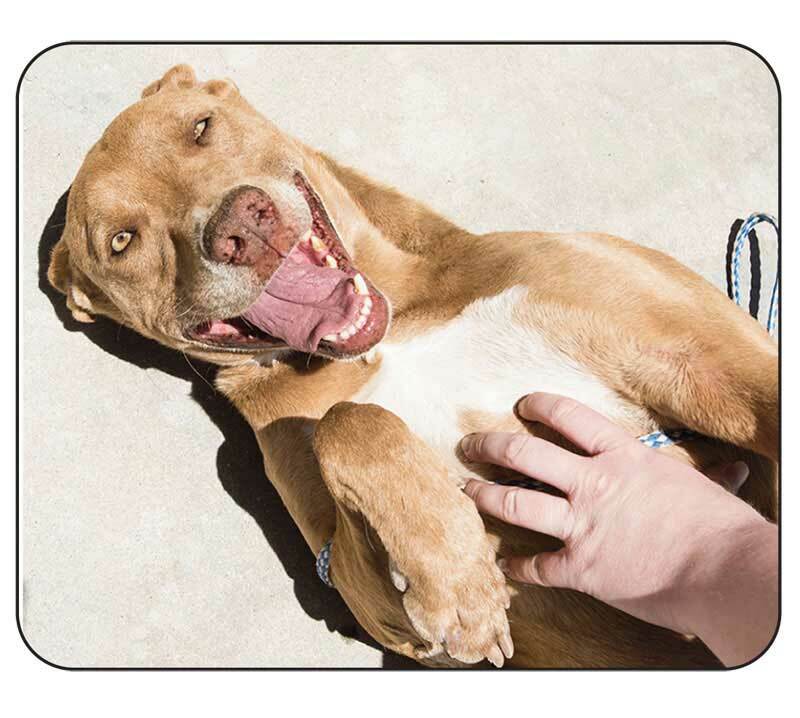 When Mocha Man meets his caretaker in his yard, many times a day, he hits the ground for his belly rub! I posed a picture of him doing that. Mocha Man might not live a full lifetime due to his cancer. So far though it is under control. But I wanted you to know about him now, to see him now, and to appreciate him now. If he does become terminally ill, he will not look his best. We don’t care what he looks like, we love him, but out of respect I will never photograph these angels if they are not looking their best. Mocha Man is living with his sister, Daniella. They have been together all their lives, both in the desert and at our sanctuary . . .
PS: I woke up sweating and with my heart racing after two hours of sleep last night. The Internet says it was anxiety. When I asked myself why, Mocha Man brought tears to my eyes. I must bring in the money to keep his home safe. He must remain happy and care free. And then there are the young ones, and the new rescues. 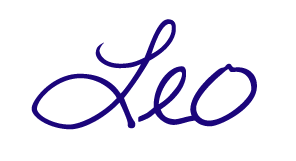 This is my big mission, why I was born and my passion in life. Rescue and sanctuary. Please help me carry on. Yes, I want to help you save abandoned cat and dog angels, like Mocha Man, and give them a happy home for life. 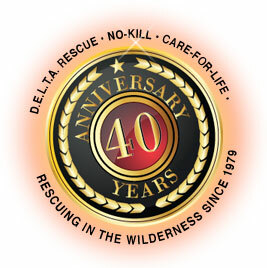 Make a check payable to "DELTA Rescue - A Care for Life Animal Sanctuary"